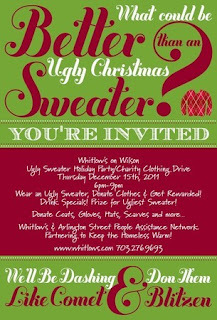 Whitlows is partnering with Arlington Street People Assistance Network (A-SPAN) tonight for a Ugly Sweater party and clothing drive. Happy hour go-ers are encouraged to arrive in the tackiest sweaters possible along with clothing donations. Guests who donate will benefit from drink specials and we have prizes for the ugliest sweater. Here is the list of items Whitlows is hopting to collect for A-SPAN. 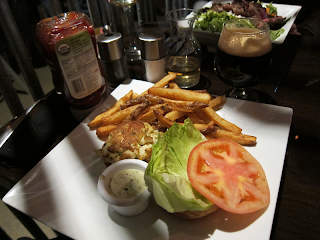 I've been to Sobe before, and usually walk away dissapointed at both the food and the service. But this Saturday night I had an awesome time due to there weekly karaoke night. Every Saturday night starting at 8:30pm is open mic karaoke and every Friday night is a sing-along karaoke band. We got there early, around 9pm and Sobe, the often overlooked restaurant next to Mad Rose, was still pretty sparesly populated. This gave us the chance to get good seats near the window with a great view of the amatuer performers. The diverse crowd started picking up after midnight, with various singers including an office party full of suits, black guys singing country, white girls singing "Baby Got Back", a 1920s themed dress birthday party, and an older man channeling Sinatra. It was a blast watching all the different groups get up on stange and sing a wide variety of hits. I definately recommend checking Sobe out late on weekend nights, usually after midnight when the crowd is larger. I would stick with bottled beer when at the bar, as their mixed drinks are very watered down drinks and their wine tasted off. 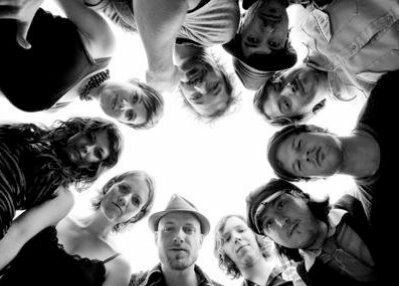 Local rock cover band Flow in the Dark is returning to Whitlow's this Friday Dec 9. They are a hiphop/mash-up with over 50 hiphop, pop, and rock songs in their reputare, and with four members of the band alternating vocals. Their live show starts at 10pm Friday. A special happy hour called "Beer for Books" is being held at Front Page to benefit The Reading Connection. From 4 to 9pm on Friday Dec 9, drop by the Ballston bar for $5 wristbands that get you drink and food specials along with a raffle for Front Page bar tab and Pacers gift cards. RSVP on Facebook here. The Reading Connection has been providing literacy workshops and improving the lives of at-risk families in the area for over 20 years. Recently Harry's Tap Room, one of my favorite places for an upscale beer or fancy brunch, was revamped as Market Tavern. 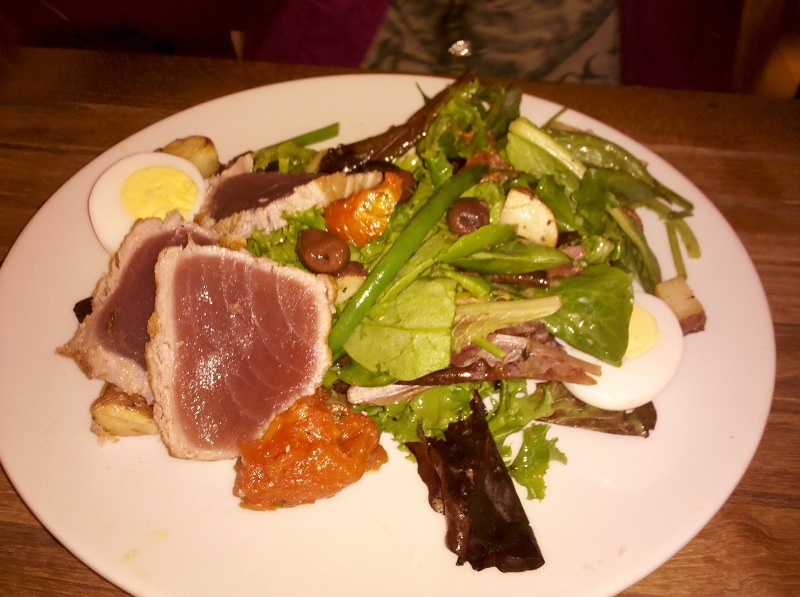 Despite being a "new" restaurant and having some kinks to work out, they offer great beer, wine and food in a cozy atmosphere. The first floor is the "tavern" which features a familiar bar and free for all tables. The upstairs "chophouse" has more dining tables that are available for reservations. Although their are different menus for each section, I was able to order from either one. Their appetizer breads came with a plate full of fun spreads and spicy veggies. Their take on a crab cake sandwich was tasty and satisifying, but not quiet as much meat as Clarendon Grill's version. The steak fries are delicious and just the right amount of grease. 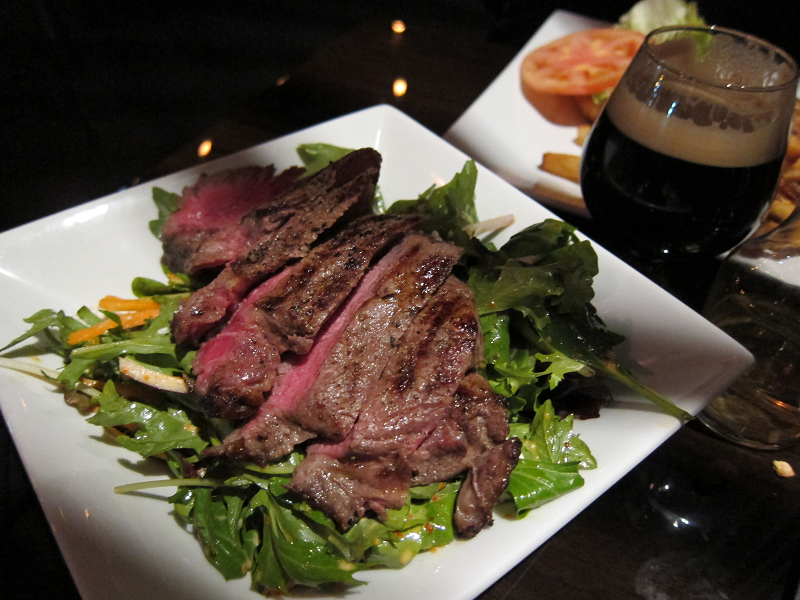 The sliced New York steak salad was also great, and went well with a dark glass of Malbec. 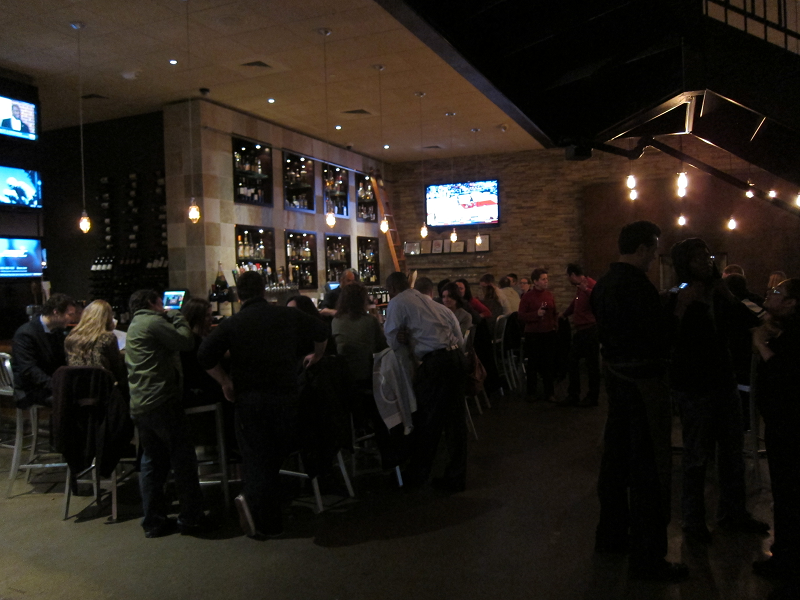 They have a massive drink menu, with over 77 wines by the glass and many fun beers offered. Pictured here is the "Old Rasputin" beer, which was dark and foamy like a Guiness black and tan. I'm really happy about Market Tavern's new look and menu, and look forward to frequenting them again soon. South Block on Garfield Street currently is offering 10% off smoothie purchases if you bring a reciept from Trader's Joes. 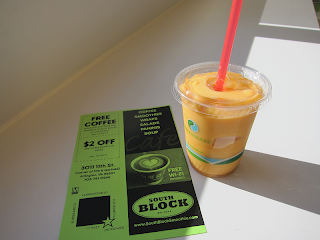 Not only are the smoothies delicious, but it includes one free energy boost supplement. Also, they are giving out a $2 off coupon for wraps after each purchase. I perfer the "Clarendon wrap", but am looking forward to trying their new "Arlington Rap" wrap soon. 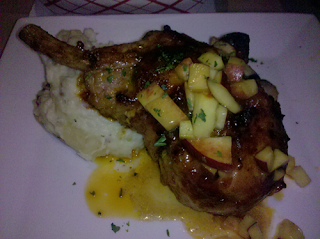 Besides Goody's, Silver Diner and Hard Times, another late night dining option in Clarendon is Mario's. Located on Wilson Blvd, Mario's servers pizza by the slice, steak and cheese subs and burgers until 2 am weekdays and 4 am Friday and Satruday night. I stopped in late last night, and had to wait an unsually long time because there was an order a head of me for a dozen steak and cheeses. You know the food must be good here if local late night work crews frequent it. I like their steak and cheese, althought my favorite is still the one from Ray's. I have yet to try their pizza, but it gets good reviews on Yelp. Justin Trawick's 9 Songwriter Series continues this Tuesday night at IOTA, which has always been packed with great music in their previous events. 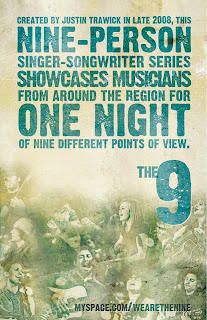 It's a good bargin as you get to see live performaces of nine original musicians for only $10. I'm also excited about seeing Emily Henry again, as she was the guest performer at IOTA's weekly open mic a few months ago and everyone was very taken by her. Tonight was a beautiful Friday night in Clarendon, and many people took advantage of the local nightlife with the unusually warm weather. 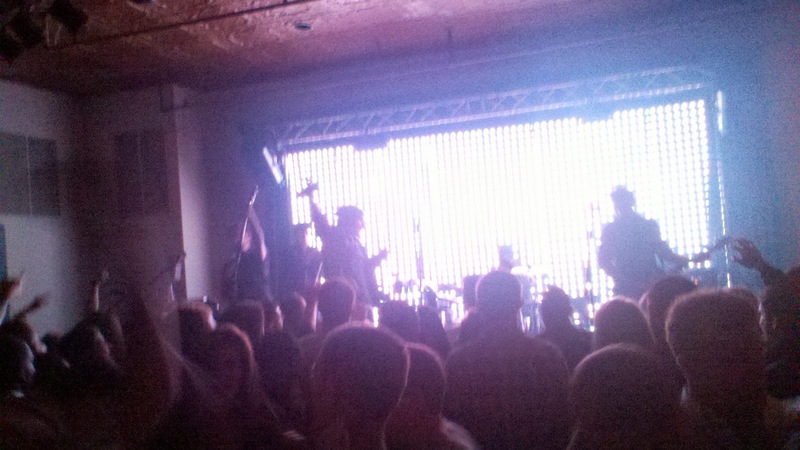 Clarendon Ballroom was pretty well packed, with Burnt Sienna performing covers ranging from modern pop to classics like The Twist. 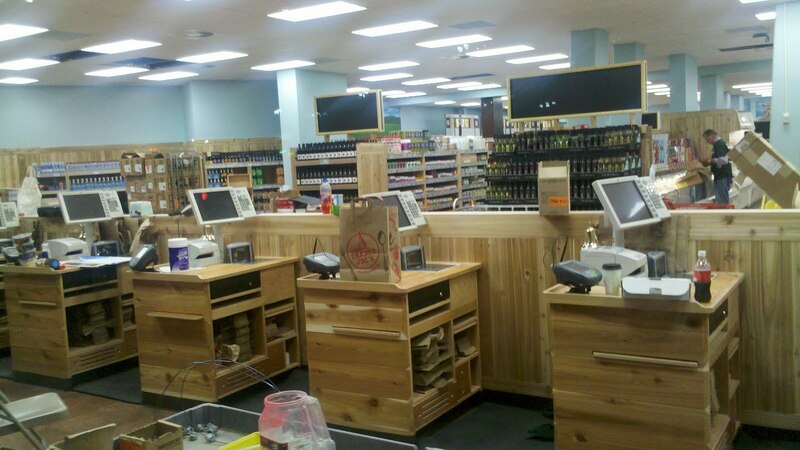 I finally got a chance on Sunday to check out the freshly opened Trader Joe's on Highland and Wilson Blvd. 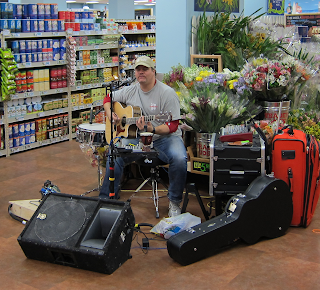 The trendy grocery store greeted by live acoustic music playing covers of the likes of INXS and Natalie Merchant, and also songs with lyrics about the surrounding store. 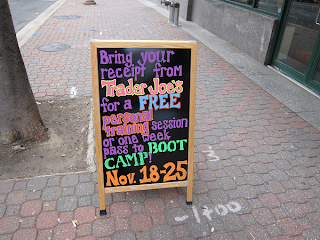 I really enjoyed the free samples (peppermint jo-jos! pumkin cheesecake!) along with beach/Clarendon area themed decorations. Hats off to them for a great opening weekend! 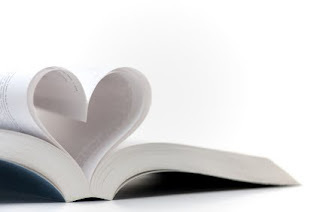 An interesting twist on speed dating is taking place at Shirlington Library tomorrow, Sunday Nov 20, at 6pm. In this second "Book Dating for Singles," participants bring several books they enjoy or are in-progress of reading and talk with other singles for three minutes. Extra Virgin Italian Cuisine in Shirlington Village will provide snacks, and there will be a drawing for a pair of Signature Theatre tickets at the end of the evening. This Friday Nov 18 will mark a new era for Clarendon: Trader Joe's grocery store will open on the corner of Highland and Clarendon Blvd. This should be nothing new to any one living in Arlington, as everyone, and everyone and everyone, has been talking about it for a while. 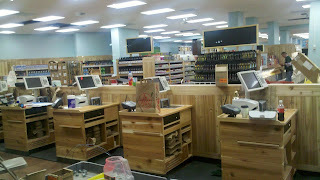 The store will have it's grand opening at 8 am, and it will be so popular that I'm wondering if there will be anything left on the shelves by the time I check it out Friday night! I finally got around to trying out American Tap Room on Highland Street for dinner, and since they have been open since for a while I figured all the kinks would be worked out. Sadly, I was disappointed throughout the night and concluded it isn't a worthy replacement for Sette Bello which used to accupy the space. Despite the promise of a tasty dinner by the backlite glowing menu and salads with local Clarendon themed names, nothing I tried was worth the price. The crab spinach dip was difficult to eat and wasn't nearly creamy enough. The jerk chick spring rolls were ok, but not worth ordering again. 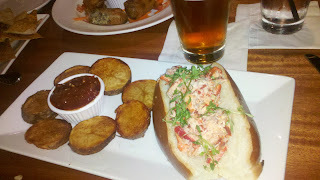 The toasted lobster roll was cold, and the only thing decent was the Old Bay seasoned circular cut fries. Their beer selection was rather sparse, and our waitress was virtually unknowledgable of our menu. At least the extra large leather chairs were comfortable. Sorry Tap Room, but I'm going to agree with Yelp and say you deserve two stars. I'm pretty certain that is not the original color. This past weekend was a great exotic car spotting time in Clarendon. 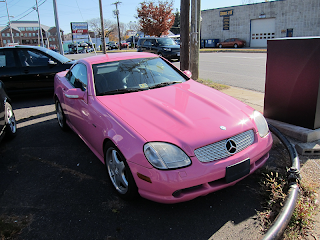 I caught glimpses of toy cars like a Ferrari 458, Lamborgini, and a SLS. 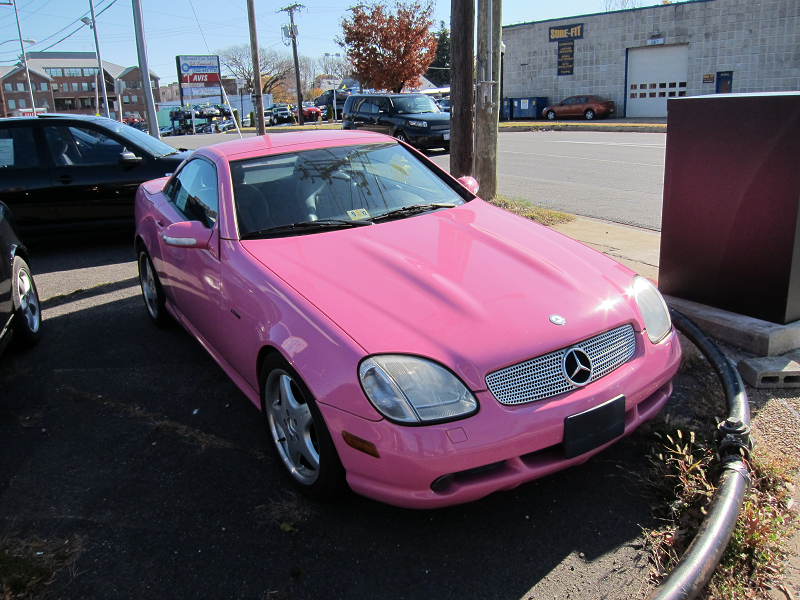 But nothing was as eye catching as the bright pink Mercedes SLK 230 on display at Best Auto Sales. 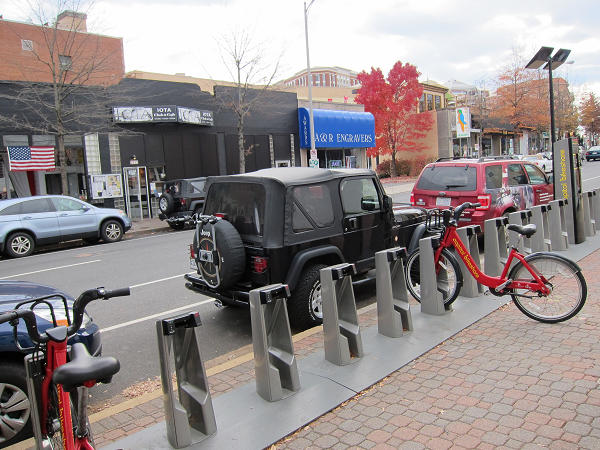 It was sitting prominately at the corner of Wilson and 10th Street, but I can't find it on their website. Did they already find a buyer that wanted to complete their life size Barbie dreamhouse collection? 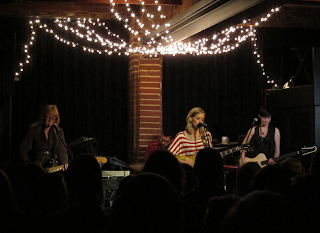 I had a great time at IOTA last Saturday with the dual talents Butterfly Boucher and Katie Herzig. I was happy that Butterfly stayed on after her set and plyed backup guitar for most of Katie's songs. Can't wait for the next time they tour in the area, as I liked Katie's soulfoul lyrics but enjoyed Butterfly's more rockish beat the most. Don't miss a back to back show of two of my favorite female musicians tonight at IOTA. 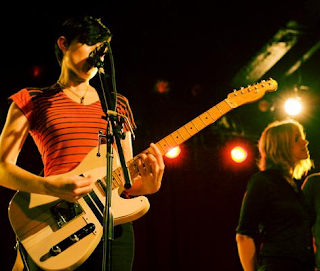 The beautiful guitarist Butterfly Boucher takes the stage tonight to open up for Katie Herzig, and I last saw both women play together when the supergroup Ten Out of Tenn visited Clarendon last September. Katie Herzig's voice and guitar mesmerized me when I heard the song "Hologram", which has become my favorite track of hers. The show starts around 9pm and the $12 cover is a steal for seeing these two musicians live in one night. Who has more fun, blondes or brunettes? Or better question: Who hits the hardest in powderpuff football? This Saturday Nov 12 at noon an epic battle will unfold at GWU to determine who is superior: Blondes or Brunettes. This massive football game featuring over seventy ladies is for charity and raises funds and awareness for the Alzheimer's Association. Since 2005, BvB has raised nearly $700,000 for the chairty and inspired similar events in other cities. Tickets are $25 for the game at 2100 Foxhall Road, NW, or you can donate online here. There will be an after party at Town Hall at 7pm, and thanks to FamousDC and City Girls for the info. Blondes vs. Brunettes: Tackling Alzheimer’s from Toy Box Productions on Vimeo. 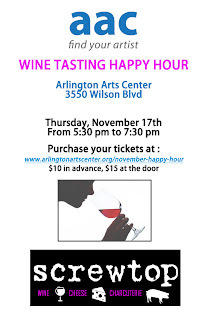 The Arlington Arts Center is hosting a wine tasting happy hour next week on Thursday Novemebr 17. 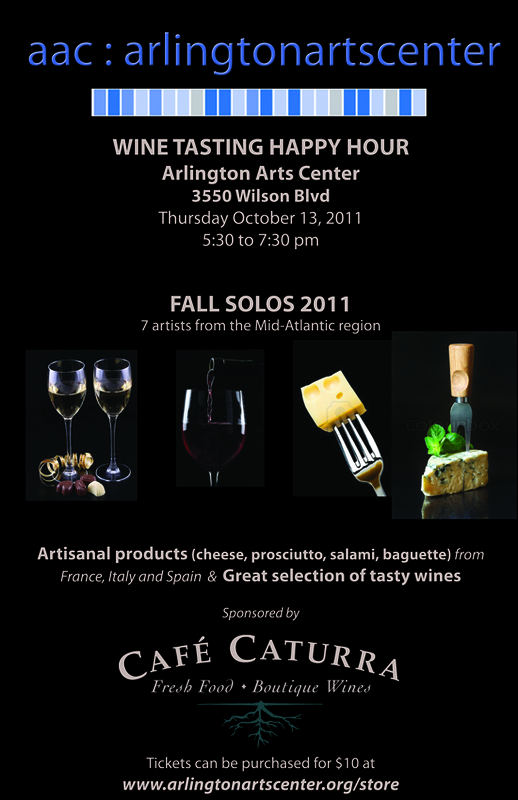 From 5:30 to 7:30pm local restaurant ScrewTop Wine Bar will provide three French wines to compliment their new exhibit Fall Solos 2011. Tickets are $10 in advance online, and $15 at the door. 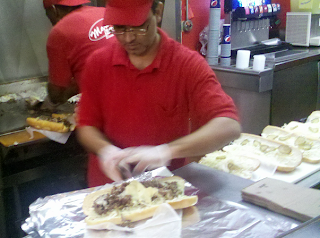 Last night I tried out the brand new Ray's Steak & Cheese in Courthouse after reading reviews of the sandwich shop from ArlNow and ClarendonCulture. 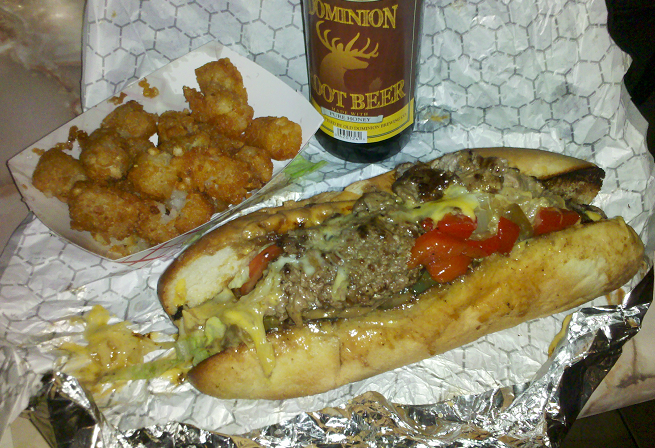 The steak and cheese was absolutely delicious, and was perfectly accompanied by a side order of tots. I perfer the more "plain" steak, without pepers and mushrooms, which costs a hefty $10.99. But it is well worth the price as it is filled with quality meat and is very filling. The staff was extremely friendly and I look forward to more trips to Courthouse just for this sandwich. Thanks to ARLNow.com for the heads up on Whitlow's benefit for Iraq and Afghanistan Veterans of America (IAVA) on Wednesday. The fundraiser features a mechanical bull riding contest at $10 per try and starts 6 p.m. with food and drink specials all night. 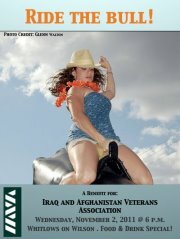 It's a great cause, and not only can you support our veterans but also watch people being thrown from the bull! The first ever Arlington Puzzle Festival will be held this Saturday Nov 5 from 8:30 a.m. to 5:00 p.m. in the Central Library Auditorium, 1015 N. Quincy St. The day will include speakers in the morning, followed by puzzle competitions in the afternoon. Puzzles are provided by Will Shortz, from the New York Times and NPR, and world sudoku champion Thomas Snyder. Local musicians and entertainers have a chance to make it on TV with America's Got Talent is coming to DC this weekend. 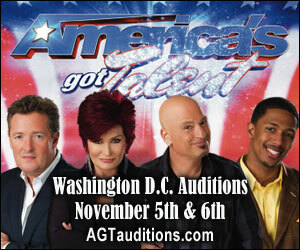 Auditions are being held on Novemeber 5 and 6 at the DC Convention Center. For your 90 seconds of fame register here and the chance to win the million dollar cash prize. I'm planning on braving this unusually cold night and hitting up Mister Days for their Halloween party tonight. There is no cover, DJ Rizzo will be spinning, and there will be a costume contest with a $1,000 prize. I'm hoping that the freak snowstorm earlier today doesn't put a damper on the nightlife scene tonight. Halloween parties continue Saturday night in Arlington at the Frontpage in Ballston. Costumes aren't required, but there are cash prizes including $300 for first place. There is no cover charge to get in, and DJs Pat Premier and Clinton Matthews start playing at 8pm. Also on Saturday night, EatBar is hosting their Funkadelic Halloween party beginning at 9pm with costumed cover band Parliament Funkadelic, aka P-funk. This Friday Oct 28 the Clarendon Ballroom will throw its annual Halloween Bash with DC101 and Elliot In The Morning. The Ballroom is one of the best places for costume people watching around Halloween. There is sure to be a line around the block of fun and scandalous costumed party goers late at night. The Halloween Bash's doors open at 5pm and music starts at 8pm. Be sure to get there early, as the cover goes from $15 to $20 after 10pm. 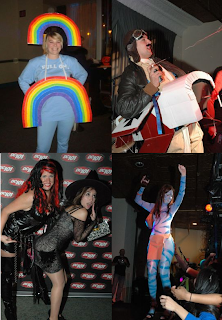 The night also features a costume contest with a $3,000 grand prize. If you can't make it Friday, here is a listing of other adult Halloween parties in the area this weekend. One of the artists performing is Brittany Jean, whose acoustic guitar playing and strong voice makes it worth going just to see her alone. The third annual NOVA Fashion Week is happening next week from Oct 24 to the 28th at Clarendon Ballroom. Several of the world’s leading fashion designers will showcase their Spring 2012 collections. Also student designers will be showing off their creations at the kick off runway event on Monday night Oct 24, where the proceeds are donated to scholarship programs. Thanks to Dguides, Yelp and Facebook for the details. Local coupon site What's The Deal is currently offering up a half price deal for a meal at our local Clarendon Grill. For $10 you get a $20 coupon for lunch or dinner at the Grill, which has some tasty sandwiches since they remodeled and unveiled a new menu last year. 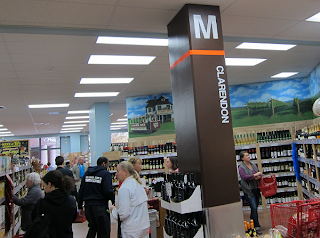 Also, if you use the code CLARENDON1258 at checkout you will get another $1 off! Follow What's The Deal on Twitter for more local deals. One of my all time favorites Minus The Bear is rocking 9:30 again. When I last saw them three years ago, they were just as talented and energetic live as I hoped. Get your tickets quick before they sell out! The very multi-talented Exit Clov has played here several times over the years, and I'm really looking forward to another show of unusual instruments (cowbells anyone?) and catchy lyrics. Don't miss their show in Clarendon this Saturday at Iota. 9:30 club is also hosting another old favorite of mine, the insanely upbeat and fun Brazilian rock that is CSS. Panic! At The Disco! At 9:30 club! Even though I thought of them more of a one hit wonder with I Write Sins Not Tragedies when I first heard it years ago, they have stayed popular with the teen vampire trend. 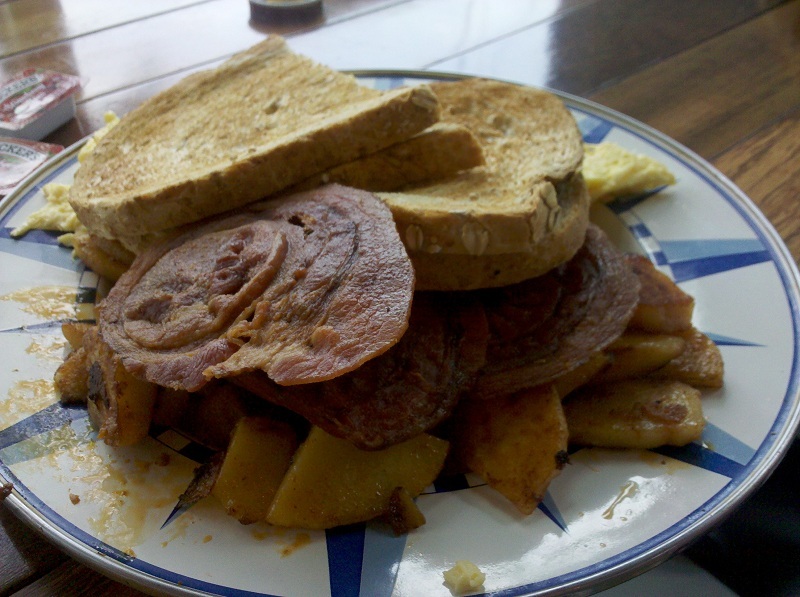 It's that time again for the 3rd annual Bacon Week at Whitlow's own Restaurant 3. They will start off with a Patio Pig Roast on Oct 13 which will feature $5 pulled pork sandwiches and American craft beer specials. Restaurant 3 is offering a Bacon Curing Class on 10/16 at 3pm. Then throughout the week, you can stop by their "Bacon Stand" where you can try a complimentary taste of their house-cured Bacon-to-Go. Until Oct 22 they will offer a daily Bacon Happy Hour, where guests can feast on bacon bites such as the new bacon cheese dip over bacon dusted chips or thebacon on a stick and enjoy $3 craft beer draft specials. 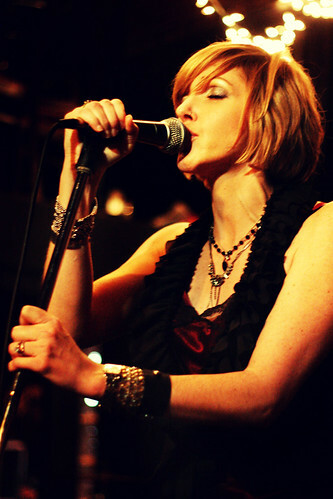 The always magnificent Juniper Lane played at Iota again last Saturday, Oct 8. The talented five piece band led by vocalist Vivion Smith, who mezmerizes the audience with her strong voice and beauty. Tonight was their CD release show for their latest album Standing On The White Line, of which they played some of their new matterial from. I personally love their older songs like "Take Me Home." I also really enjoyed their cover of a Modest Mouse soung! Here is a nice Flickr gallery cateloging their performance. Thanks to Meg Linehan for taking these, as my camera is out of commission now. 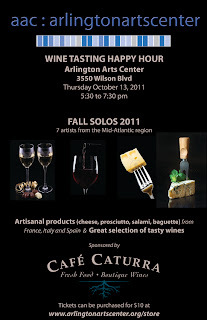 On Thursday October 13th, the Arlington Arts Center will showcase their new exhibit Fall Solos 2011 along with a happy hour featuring wine, snacks, and music. 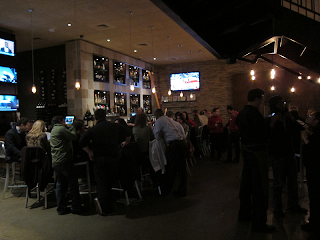 October's happy hour is sponsored by Cafe Caturra, a newly opened wine bar in Arlington. They will be providing four wines, as well as artisanal cheeses, spreads, and cured meats. Tickets are $10 in advance, $15 at the door. The annual Clarendon Day festival is coming this Saturday September 24. The all day event is family friendly will start with a 10k and 5k run, followered by live music on two stages, arts & crafts tables and food vendors from local restaurants. The beautiful and talented Tristan Prettyman will be returning tonight to Iota's stage at 8pm. The singer, guitarist, surfer and former model has two albums out and is working on her third. I'm sure the show will be packed, as last time she came to Clarendon the show was sold out early. 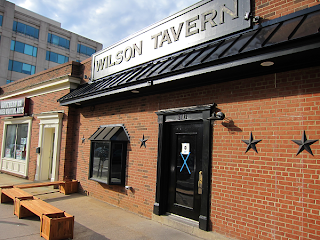 The upcoming week is an exciting one for the music scene in Clarendon! The first of the not-to-miss shows will be at Iota on Friday Sept 16 as the amazing super-band Ten Out Of Tenn return to Arlington. The tiny stage will be literally overflowing with exceptional rock/folk/indie talent, including accomplished musicians like Butterfly Boucher, Katie Herzig, K. S. Rhoads, and Jeremy Lister! More fantastic live music continues on Tuesday Sept 20 with Tristan Prettyman gracing the stage of Iota again. I'm sure the show will be completely sold out before Tristan takes the stage and graces us with her beauty and talent! Then a week later, Iota is hosting their 9 Songwriters Series on Monday Sept 26. 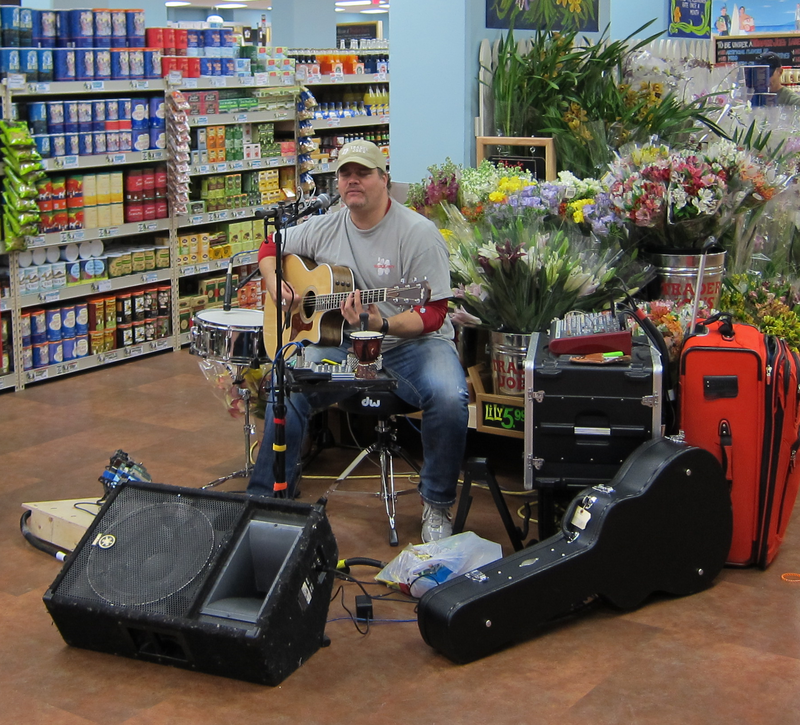 This jam packed show of talent will include locals like Justin Trawick and Andy Zipf. This is a great value, as the cover charge is $10 so you basically get to see each artist for only $1 each! Today South Block was offering free breakfast burritos to those who liked them on Facebook. Thanks to Clarendon Culture who tipped me off to this nice freebie. 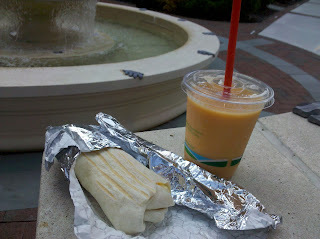 I tried a flour totillia egg, cheese and bacon which hit the spot for a quick outdoor snack on such a beautiful day. 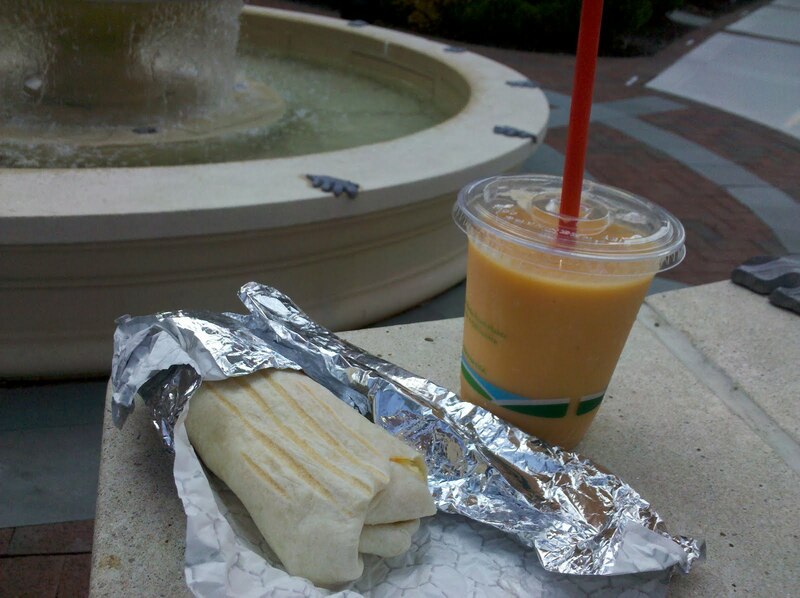 It paired nicely with a delicious Mango Mania smoothie. Apartments from Dr. Dremo's ashes... one day? 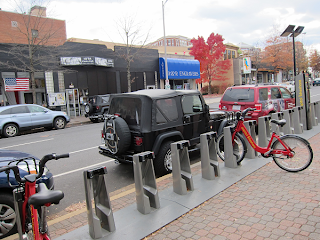 It's interesting that while most of the land in Arlington is bought up by developers and then designed so that every square foot of space is used, there are still strips of baren and undeveloped space stuck in real estate limbo. 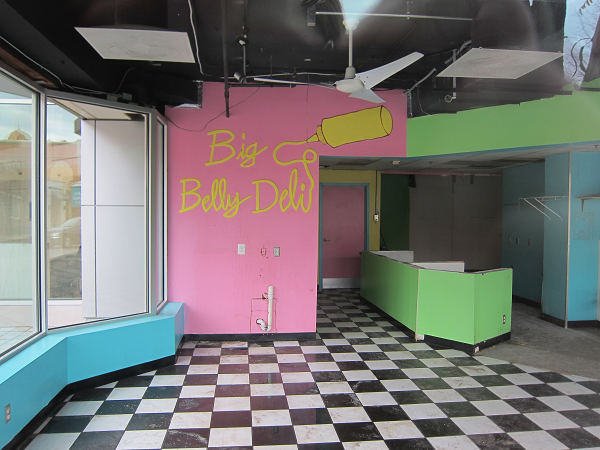 The best example of this is the space where Dr. Dremo's used to reside in Courthouse. Torn down over four years ago, the large open area now serves as an eyesore as plans to builda mixed use building continually get delayed. Clarendon's own version of story happened with the same developer named Zom in the space next to O'Sullivan's that was supposed to be the 10 story Waverly building. 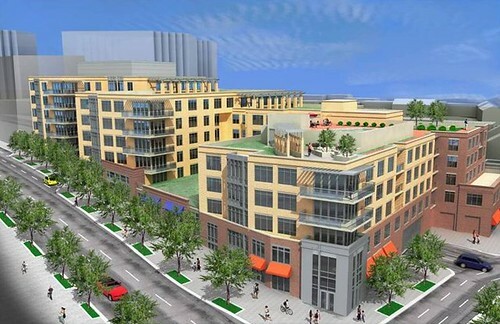 But now DCMetroCentric is reporting that their are rumors of some progress on the 2000 Wilson project. It will be nice to see the land used for something one day, but I don't think the area needs more high rise apartment buildings. Rather, I would perfer to see more afordable light commericial spaces to promote more restaurant diverstiy. 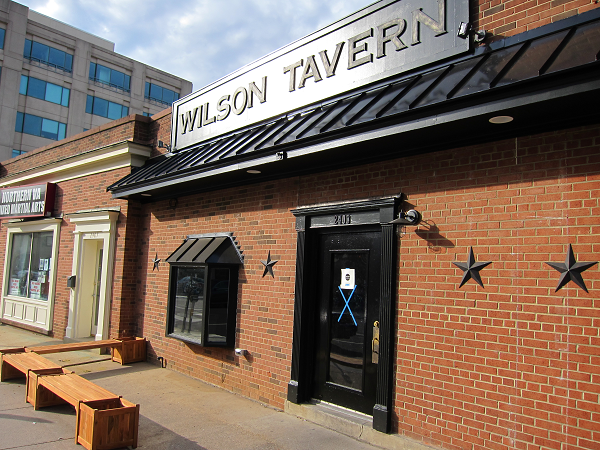 Clarendon is lucky to have tons of great dining options now, but more and more of them are becoming higher end and more expensive restuarants. 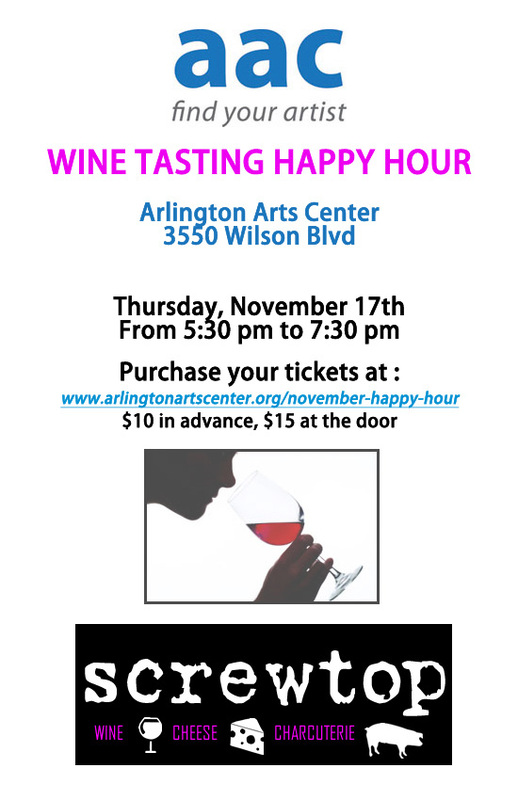 Next Thursday September 15 the Arlington Arts Center on Wilson Blvd is hosting their first in a series of fall happy hours. You can register online here and for $10 get tickes for the wine, cheese and art event from 5:30 to 7:30pm. Sounds like a good date night event!